Pakistan Cricket Team Captain Shoaib Malik and Indian Tennis Star Sania Mirza are coming to Pakistan for their Walima on 23th of the April. 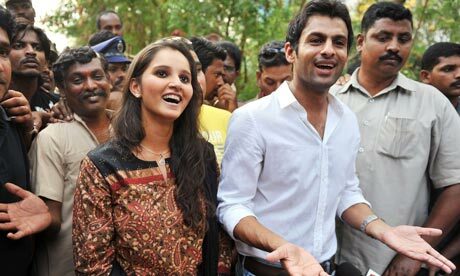 Shoaib Malik got his passport back on the order of Hyderabad Deccan High Court yesterday after which Shoaib and Sania has decided to came Pakistan. The Walima of Shoaib and Sania will held on 27th of April in PC Hotel Lahore. In Walima more than 1000 Guests will come. So all the Pakistan's get ready to welcome Shoaib Bhaai and Sania Bhabi.